What about them? Yes, my great great great grandpa was a unicorn! Anyway, I wish my great great great grandpa was Mr. Snickers. Is anyone going to make some unseemly remark like, "Oh, you mean the four year old bunny down the street?" Well, when one does the math ... hmmmm .... yes, the Unicorn story begins to lose it's punch. 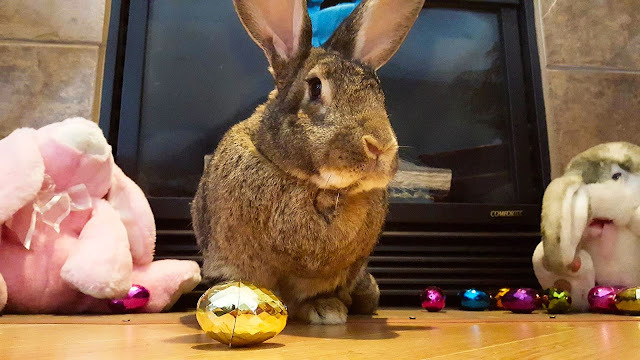 What a fine handsome bunny, and so kind to provide shiny eggs.